Synchronized swimming in a Grizzly Bear's World. 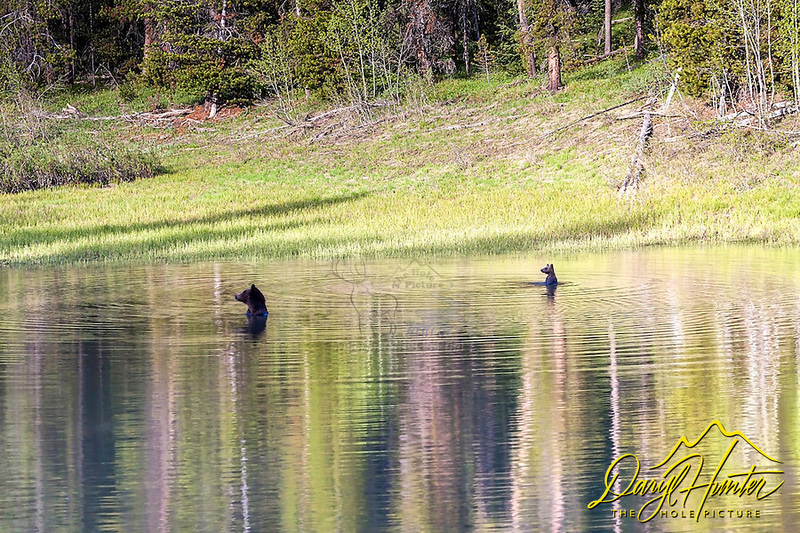 This is the famous Grizzly Bear sow 399 and her 2016 cub of the year "Snowy" taking a dip in a pond in Grand Teton National Park. Grizzly 399 is known as "The Lady of the Tetons". Sadly soon the area this bear family ranges will open to hunting and this prolific momma grizzly may be on a hunters wall.